Images are available from the Opening and Closing Ceremonies, Final Awards, Sprint and Classic races, and selected special events and dinners. For information regarding image licensing or exhibition quality prints, please use this Information Request Form. 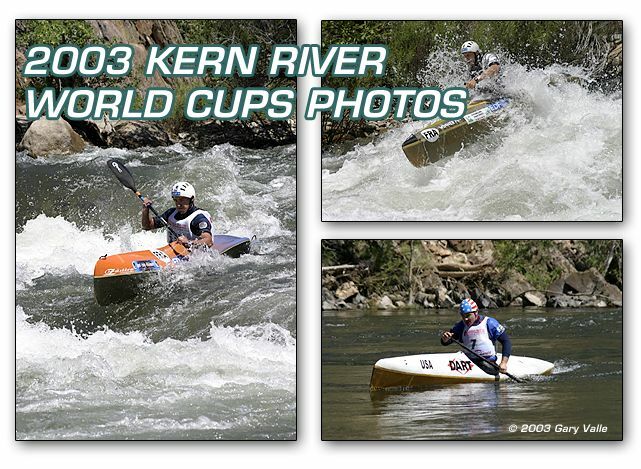 Slide shows of selected World Cups events can be viewed on the World Cups Photos section of kernwildwater.com. Please send comments or suggestions to: gvalle at sierraphotography.com Copyright © 1995-2016 Gary Valle'. All Rights Reserved.